Emergency Locksmith 24/7 Rapid Response.All Locks Opened,.FREE SECURITY SURVEYS.Lock Outs.New Home Lock Packages.Lock Fitting.Lock Upgrades to BS3621.All Locks Supplied and Fitted.Fully Insured.All Work Guaranteed.We are committed to customer satisfaction. We use Non-Destructive Entry techniques,where ever possible. 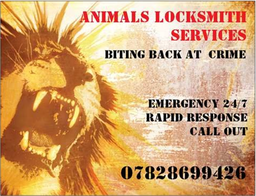 Specialist Services 6 LEVER BS MORTICE LOCKS • ANTI-LOCK BUMPING TREATMENT • ANTI-KEY FISHING GUARDS.